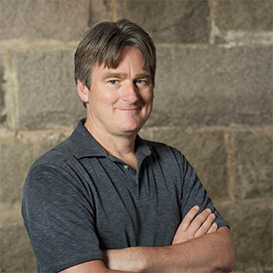 We’re excited to announce that Paul English, CEO and co- founder of Blade and former CTO and Founder of Kayak, will be sharing his success story at Founder Dialogues XII on October 30th, 2014 at the Microsoft New England R&D Center from 6pm – 8pm. Registration: Open to the public. Paul English is CEO and Founder of Blade and KAYAK, a company which will co-found 2-3 consumer technologies startups each year in Boston. Previously, Paul was CTO and Co-founder of KAYAK, and previous to that Paul was President of Boston Light Software, an ecommerce company sold to Intuit, where Paul then served as VP Technology. Paul is a Director of Partners In Health and Village Health Works, both organizations providing quality health care to populations of extreme poverty. Paul was briefly an entrepreneur in-residence at Greylock, a co-founder and Director of Intermute, the founder of GetHuman, the founder of the World Xiangqi League, cofounder and Chairman of Mancala, Inc., Senior Vice President of Engineering and Product Management at Interleaf. He also did contract programming for the US Air Force, operations research programming for Data General, programming for a medical device company, and even some video game software and sound-effect development. Paul received a BS and MS in computer science from University of Massachusetts. Paul regularly lectures on entrepreneurship topics at Boston-area universities, and was named Chief Technology Officer of the year by Mass Technology Leadership Council in 2009. Paul has been an advisor to LinkedIn, ELERTS, FanSnap, Roost, and Pixable. We’re excited to announce that Jeff Seibert and Wayne Chang, co- founders and of Crashlytics, will be kicking off the 2014 series and sharing their success story at Founder Dialogues XI on March 11th, 2014 at the Microsoft New England R&D Center from 6pm – 8pm. Serial-entrepreneurs Jeff Seibert and Wayne Chang have successfully collaborated to fuel the future of mobile development in Boston’s back yard. These two young entrepreneurs co- founded the mobile crash reporting startup Crashlytics, which was acquired by social networking giant Twitter in January 2013 for nine figures. Both have spent the last two decades immersed in building and creating innovative technologies. Jeff discovered his passion for entrepreneurship and programing at a young age, founding Arios Software while in high school in Baltimore, MD. He later went on to gain experience at Apple in both marketing and engineering capacities. In 2007, Jeff co-founded Increo and served as its COO and lead architect until its acquisition by Box in August of 2009. He subsequently oversaw the integration of Increo’s document preview and annotation technologies into the company’s cloud-based content platform. Wayne is a serial entrepreneur, mentor, hacker, and angel investor. wayne has been passionate about technology from a very young age, writing his first software program on Apple lle at age 7. In college, he founded peer-to-peer file sharing platform i2Hub and was instrumental in the early stages of many top technology companies including Napster and Dropbox. He also serves as a mentor for TechStars, Extreme Startups and MassChallenge. Wayne is passionate about the user experience and building relationships with developers to help influence the future of mobile development. A special thank you to HubSpot‘s co-founder and CTO, Dharmesh Shah, for sharing his incredible founder journey with the Boston community. After finding his passion for computer programming, Dharmesh decided not to return to India and to pursue his calling in the US. A self-proclaimed startup addict, Dharmesh tells his stories of serial entrepreneurship and angel investing. HubSpot is a company to watch and its success is not surprising given its founder’s work ethic, attention to detail and drive. HubSpot provides inbound marketing software that helps businesses attract, convert and engage customers on the web. The company has over 8,000 customers and is a two-time member of the Inc. 500. Based in Cambridge, MA, HubSpot continues to grow and has been listed year after year as one of Boston’s Top Places to Work. We hope you enjoy Dharmesh’s wit in the video capturing FD IX along with the photos below. Feel free to tweet any thoughts or comments using #fdialogues. FD IX from Founder Dialogues on Vimeo. As always, a special thanks to Greg Joyce of Willoughby Films for his video talents. We would also like to thank VisibleGains and VentureFizz for their continued support. Ian Holmes kindly joined Nathalie Bishop in photographing and organization for the event. Also, a big thank you to Microsoft for providing the space for Founder Dialogues. 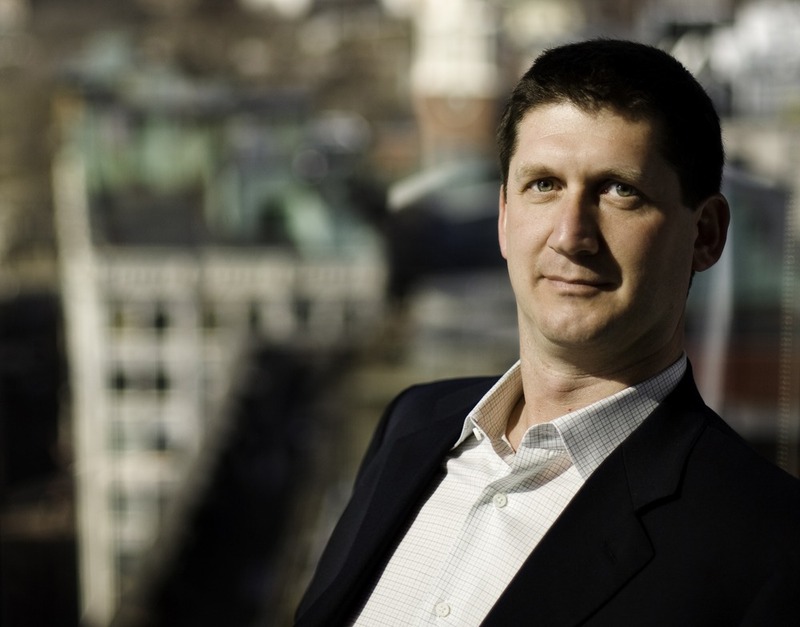 Russ Wilcox took the Boston startup community through his long E Ink rollercoaster ride which ultimately led to an acquisition in 2009 by Prime View International for approximately $450M. As the Co-Founder and CEO of E Ink, Russ helped revolutionize an industry. E Ink’s technology powers the display for e-book devices such as Amazon Kindle, B&N Nook, and SONY Reader. Russ’ impressive down-to-earth demeanor and intellectual honesty provided for a unique view into the lessons learned by a true entrepreneur. We extend our gratitude to Russ for sharing his story with us and for understanding the importance of the Founder Dialogues event series. We feel incredibly grateful to the Boston startup community for sharing our vision. As always, thanks to returning and new participants. We will be announcing the next speaker very soon, so stay tuned! Please enjoy the video and photographs capturing the event. A special thanks to Greg Joyce of Willoughby Films for his video talents and impeccable professionalism. We would also like to thank VisibleGains and VentureFizz for their continued support. Ian Holmes kindly joined Nathalie Bishop to capture the moments and photograph. Also, a big thank you to Microsoft for providing the space for Founder Dialogues.